Event Details | Motohio located in Columbus, OH. 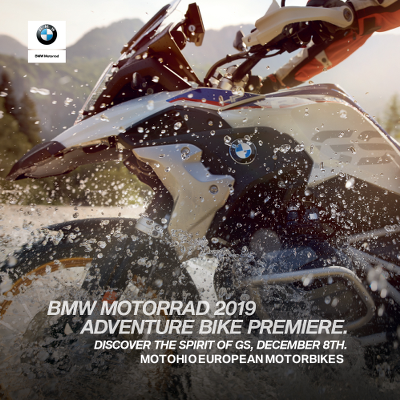 F 750 GS - F 850 GS - R 1250 GS Don’t miss this opportunity to pre-order YOUR custom GS for Spring Delivery!Shop our great selection of BMW Motorrad gifts for the enthusiast on your list! Chad Warner, host of Wailin Wayne Weekend & BMW MOA board member, will give a presentation on the epic charity ride, BDR Journey of Hope, at 12pm with lunch provided. The BDR Journey of Hope will cover all 9 Backcountry Discovery Routes -5,000 miles on-road & 9,000 miles off-road all completed in just ONE month!